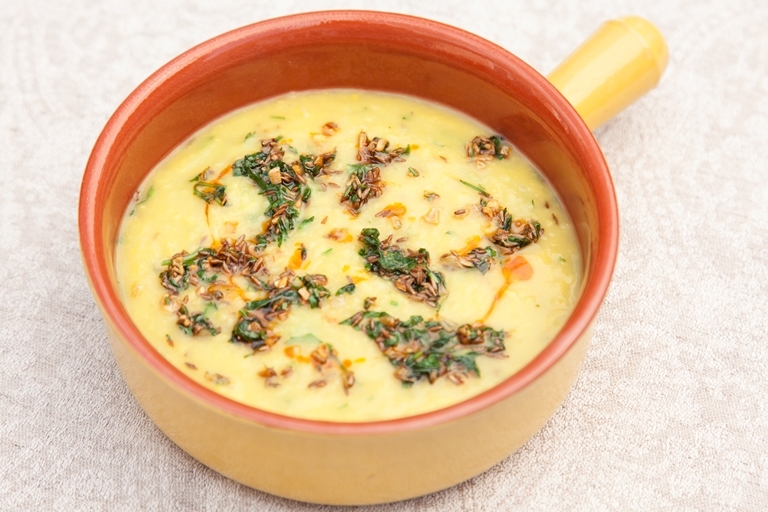 When it comes to easy, fuss-free curry recipes lentil dhal is hard to beat. Alfred Prasad's dhal recipe uses moong lentils which are skinned, split mung beans and a similar vivid yellow to split peas. Perfect served as a creamy vegan side dish, this recipe can also be scaled up and served with rice as a main meal in itself.